Entering freshman year of high school, adjusting to the advanced environment, and participating in extracurricular activities: all of these are difficult for most freshmen. Janay Moncrief, however, is one who does it all. Aside from being the average teenage student, Moncrief thrives in her own world: music. Being a singer just scratches the surface of how important music is to her. Entering a new school and the D219 community, Moncrief came into the building wanting to be involved. 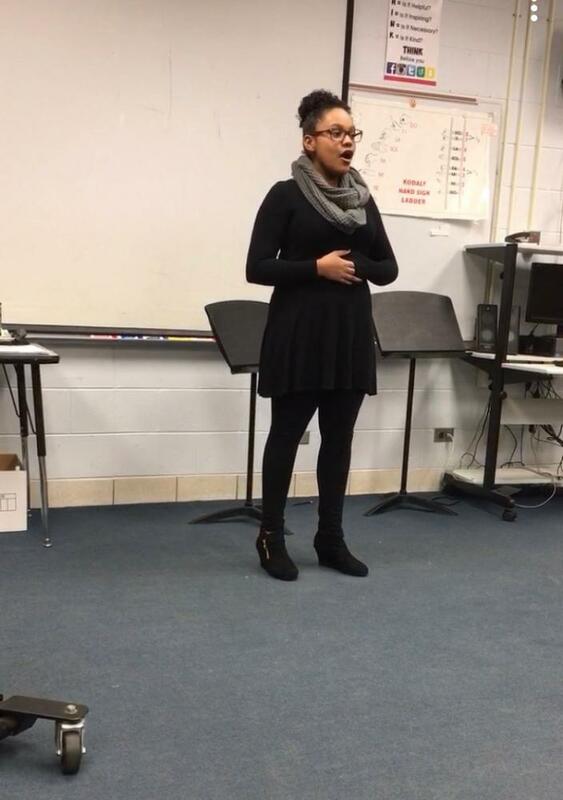 With her strong love for music, she tried out for one of the three a cappella groups at Niles West, High Fidelity. High Fidelity is an all-girls a cappella group that performs in concerts and state competitions throughout the school year. To Moncrief, this was her calling. Being a freshman in an a cappella group is definitely something to be proud of. High Fidelity’s junior president Leah Nano understands the work ethic and talent that Moncrief brings to HiFi. Moncrief values her time being in Hifi, always looking forward to her Monday and Wednesday practices, and she loves to rise to the occasion within the group. Janay’s positivity and hard work have not only shown through to her peers, but to choir director Matthew Hunter. Hunter was very excited getting new blood into his fine arts program. Although Moncrief is only a freshman, she wants to make an impact now by focusing on living in the moment and making a difference; her future is limitless, and her talent is a part of that. “HiFi has helped [me] gain musical skills as well as life skills that I will keep with me throughout my career. Coming together as a team shows the importance of family, bonding, musical skills, and exploring the world of a cappella. It is a world that I’m glad I discovered,” Moncrief said. That’s my bestfriend go Janay?????? ?